This Adaptation of My Painting Takes the Cake! Sometimes when you spend days-on-end working hard, getting projects done and focusing on repetitive goals, things can begin to run-together. Those small successes (like finishing a painting) are only short-lived bouts of ecstasy that quickly fade and are replaced with an ongoing sense of urgency to finish the next project in line. So, when something unexpected breaks-up that routine, it can feel especially special … like eating a soft, delicious slice of cake. Rarely does something give me as much joy as seeing this cake show up in my Facebook feed did. 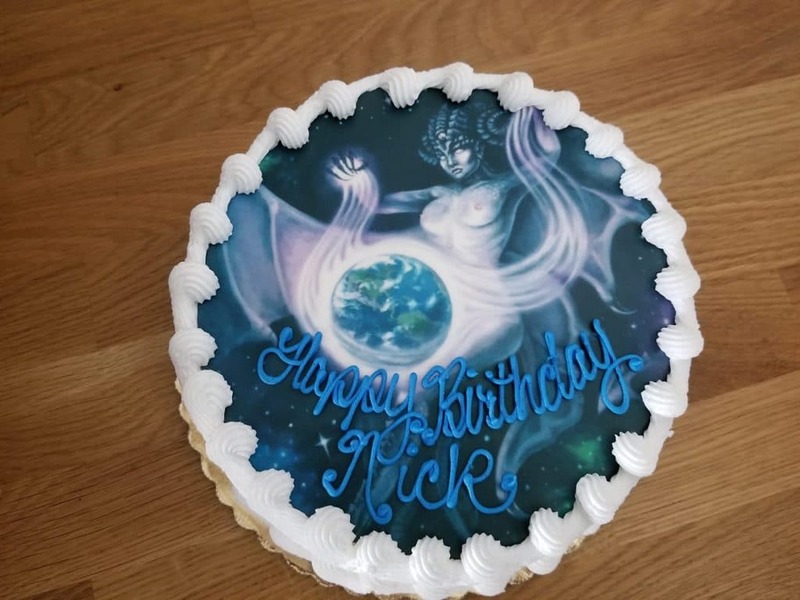 Happy birthday Nick!